Ben’s primary role is to lead strategic direction and creative concept, ensuring a strong strategic foundation for our clients is in place from the outset. 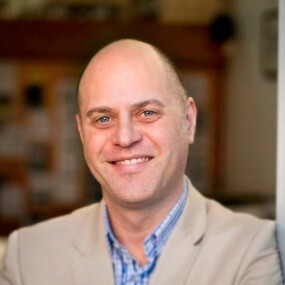 Ben has over 20 years of experience in brand and direct marketing strategy, communications and project management at advertising agencies BBDO, Bryant Fulton & Shee, and Lanyon Phillips Communications. In 1998 he co-founded Industrial Brand, a brand strategy and design consultancy specializing in architecture, engineering, and construction (AEC). In addition to AEC, Ben has worked with all manner of clients and industries, including BC Children’s Hospital, HSBC, VanCity Credit Union, Molson, Labatts, and Granville Island Brewing. Combining his passion for photography and graphic arts with business, led Ben to graduate from the University of Toronto with a commerce and art history degree. Ben is an active member of the Association of Professional Design Firms (APDF) and the Canadian Society for Marketing Professional Services (CSMPS), and is a student mentor at Vancouver Film School (VFS). Ben supports numerous not-for-profit and charitable organizations such as University of Toronto Alumni Association, Canstruction Vancouver, and Red Hood Project. Ben is an avid cook, certified barbecue judge, and co-founder of the popular food blog Foodists.ca. Read blog posts by Ben.